Revealing Neoliberal Discourse in Climate Communication: A Visual Mapping Approach – A paper at IAMCR 2015? My paper proposal for the INTERNATIONAL ASSOCIATION FOR MEDIA AND COMMUNICATION RESEARCH 2015 conference: Hegemony or Resistance? On the Ambiguous Power of Communication has been accepted. This mapping research has had over 135,000k views on Visualizing.org. My abstract is below. Mapping Climate Communication offers an overview of how climate change is communicated in the public realm by visualizing and contextualizing actors, events, actions and discourses influencing public opinion. Since communication happens at the level of rhetoric as well as the level of action, discourses in this project include explicit messages and also messages that are implicit within political, corporate and organizational activities and policy. This approach reveals tensions and contradictions in climate communication. The public is told that climate change is a serious threat but the same institutional actors continue to support carbon intensive development. The discursive confusion that results from contradictory communication on climate is theorized as central to the ongoing deadlock in climate policy. Explicit and implicit communication is at odds in the neoliberal discourse. This discourse often uses the language of the environmental movement to gain and maintain legitimacy and public trust. The danger here is that the climate movement’s work in creating awareness and policy opinions responding to climate change is simply used as convenient rhetoric and public relations messaging for continued and indeed exacerbated carbon intensive development. Paper to be presented at Design Research Society’s conference DRS 2014. Design can be understood as a practice that evolves as new cognitive and perceptual capacities enable a greater understanding of complexity, context and system dynamics. These emergent capacities create greater potential for social and technological innovation. This paper will argue that despite emergent skills, designers are not able to effectively address contemporary problems in a sustainable manner due to the systemic priorities of the design industry. This paper theorises ‘design’ as the professional practice of creating new products, buildings, services and communication as a broader practice than the work that is produced within the ‘design industry’. The design industry operates according to highly reductive feedback generated by capitalism that systemically ignores signals from the ecological and social systems. The exclusive focus on profit results in distortions of knowledge and reason undermining prospects for the design of long-term prosperity within the context of the current political/economic regime. 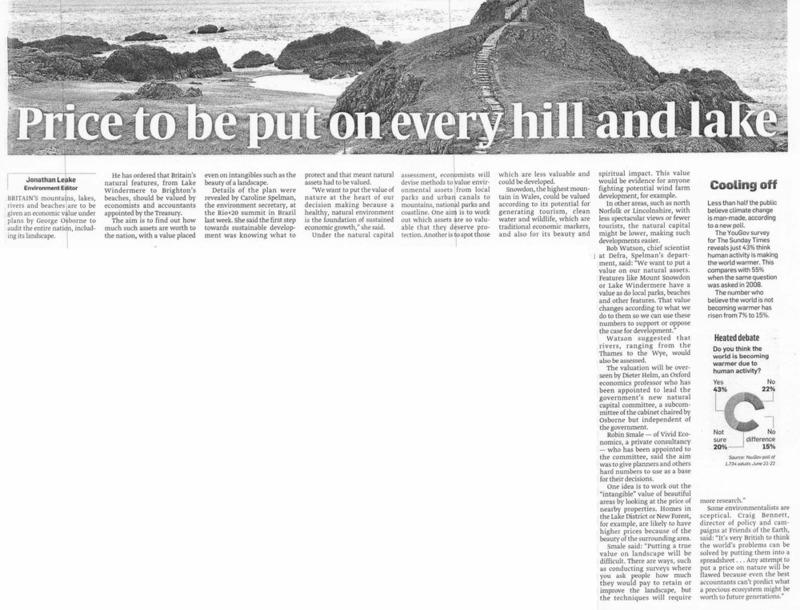 “…if we withdraw something from Mother Nature’s Bank, we’ve got to put something back to ensure that the environment has a healthy balance and a secure future” (2011). By 2012, the UK established a Natural Capital Committee and economists began preparing to include a value for ‘natural capital’ in Britain’s GDP calculations by 2020. Meanwhile, at an international level, the Bank of Natural Capital website was launched in 2011 by The Economics of Ecosystems and Biodiversity (TEEB) project, a programme supported by the United Nations and European Union. Within the Bank of Natural Capital, Sullivan explains that “nature’s stocks and flows are depicted such that they accord with the format of a standard online current bank account”. Herein nature’s processes are reduced to numbers that can be traded like other financial instruments. The World Forum on Natural Capital meet today and tomorrow in Edinburgh. Here NGOs, governments, business and the financial industry will consider ways of valuing nature using the concept of natural capital. This project emerges out of programmes launched at Rio+20 such as the UNEP’s Green Economy Report and financial institutions’ Natural Capital Declaration. The forum will undoubtedly raise awareness on environmental threats, but the strategy of using “natural capital” to respond threatens to take environmental decision-making out of the political sphere and into the marketplace. Not only does this move erode democratic decision-making on the environment – but it will give more control over nature to the very financial institutions and corporations responsible for unsustainable development. The real threat is that the natural commons, the ecological space we all share, will be subject to a new wave of privatization under the pretense that corporations and financial institutions will suddenly become responsible environmental guardians – once natural capital is part of their balance books. This radical new policy approach to environmental decision making is being pushed by the UNEP, the UK government and a variety of environmental organisations eager to help business understand the environmental consequences of their activities. While well intentioned, the project lacks a critical view on corporate power and the ways in which neoliberal institutions work to appropriate the rhetoric of social and environmental movements to serve their own agenda. In this case, the project establishes conditions for resource and land grabs while also creating fantastic greenwashing opportunities for corporations. On the first day of the conference it has already been made apparent how the concept of natural capital accounting provides an effective means for corporations like sponsor Royal Bank of Scotland and presenter Rio Tinto to greenwash their disastrous environmental activities (RBC in Canadian Tar Sands and Rio Tinto in Indonesia and around the world). 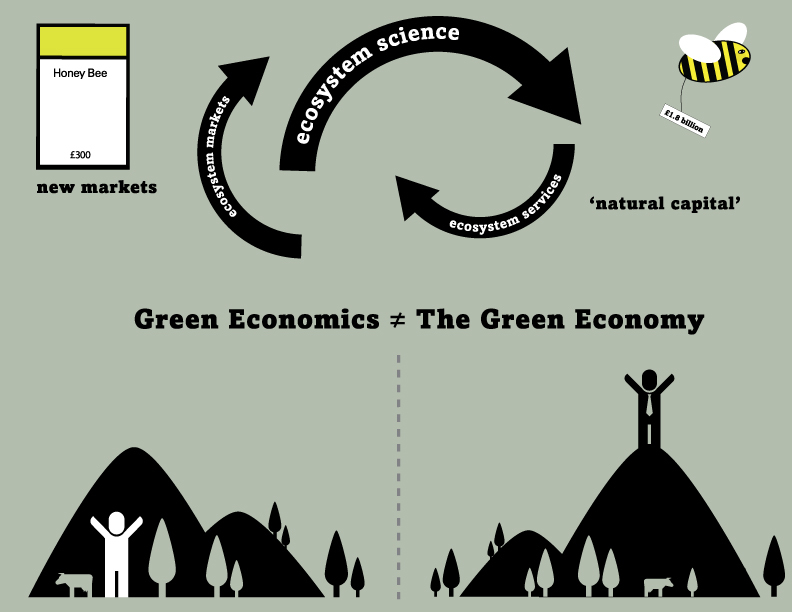 While we desperately need to develop more effective means to value nature, using financial calculations is an ill-conceived and dangerous approach for reasons that I describe at length in my recent paper ‘Re-imaging the commons as “the green economy”’. Take the example of Scotland’s First Minister, Alex Salmond’s claim that nature is worth between £21.5 to £23 billion per year to the Scottish economy. As always when we attempt to fix a financial figure to something that is priceless, the figure itself reveals gross errors in logic. If ‘nature’ in Scotland were to become radically de-stabilized and regional ecosystems were to collapse (say to due to run away climate change – or become heavily polluted due to severe radioactive contamination or groundwater contamination from fracking) than human habitation would become extraordinarily difficult, exposing residents to extreme hazards. Thus the idea that nature is only worth 10% of annual Scottish GDP is absurd – Scotland’s economy is 100% dependent on the relative stability and provisioning services provided by the natural world. This undervaluation of natural capital is only one of many flaws I describe at length in my paper. A counter-conference is taking place in Edinburgh called ‘Nature is Not for Sale: Forum on the Natural Commons’. This event exposes the political drivers and the interests being served by the World Forum on Natural Capital and highlights alternative means of managing the ecological commons. As World Development Movement director Nick Dearden tweeted today, there are many alternative approaches: ‘It’s happening: food sovereignty, community energy, remunicipalise water. Less finance, more regulation’. Organized by World Development Movement, Counter Balance, Re:Common and Carbon Trade Watch the ‘Nature for Sale’ conference asserts that the United Nations, governments and global financial institutions are planning ‘how to put a price on nature so it can be bought and sold as a commodity’. 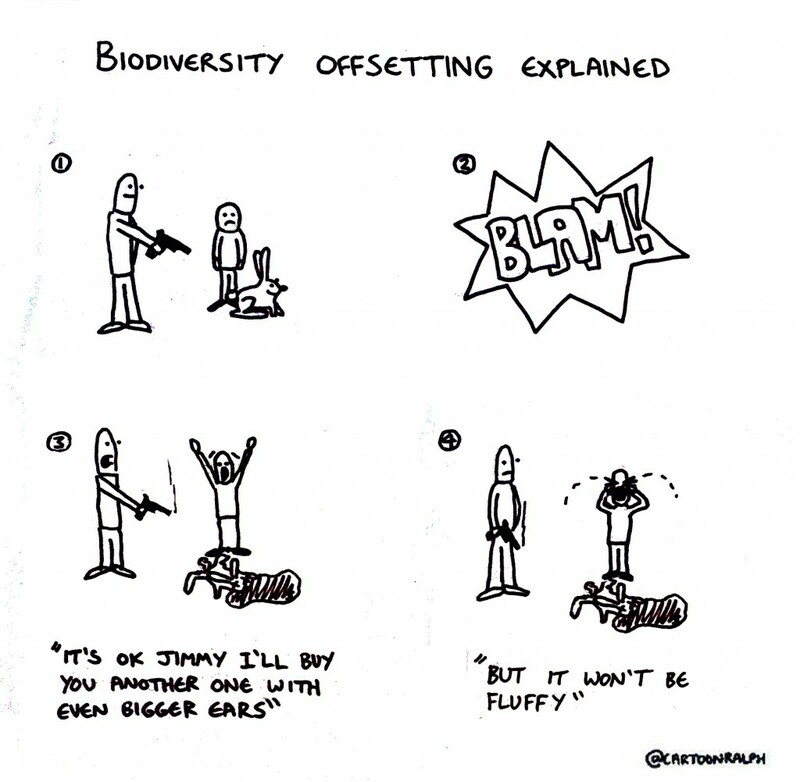 The ‘No to Biodiversity Offsetting’ declaration will be launched tonight. 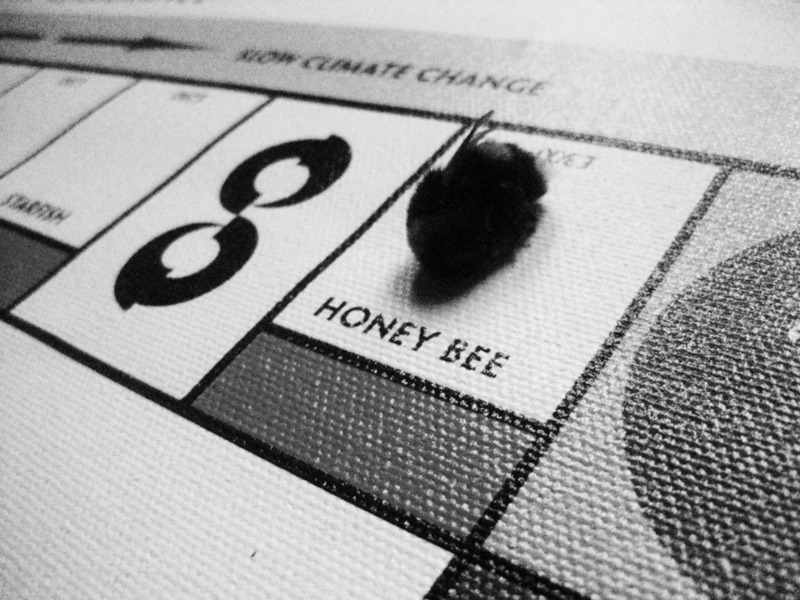 Natural capital accounting is radical the way that neo-liberalism is radical – radical in giving new powers to corporations and financial institutions while weakening democracy and government’s capacity to regulate corporate pollutors. 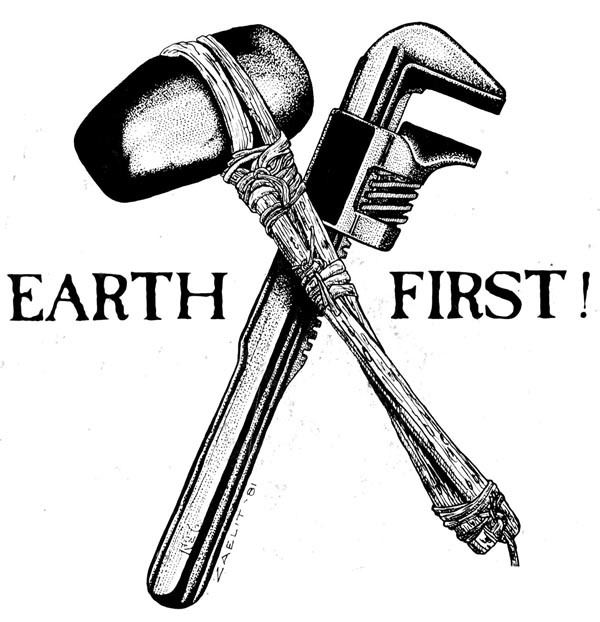 *Update* The EarthFirst! logo has now been removed from The Guardian article. Last Friday The Guardian published an article where the author unfairly accused the radical environmental social movement EarthFirst! of terrorist activity committed in Switzerland and Mexico by two other groups. Not only was there no evidence that EarthFirst! was involved with the attacks on nanotechnology labs, but two other groups had already claimed responsibility. Clearly the author, physicist Michele Catanzaro, was keen to use these attacks to discredit radical ecological social movements. 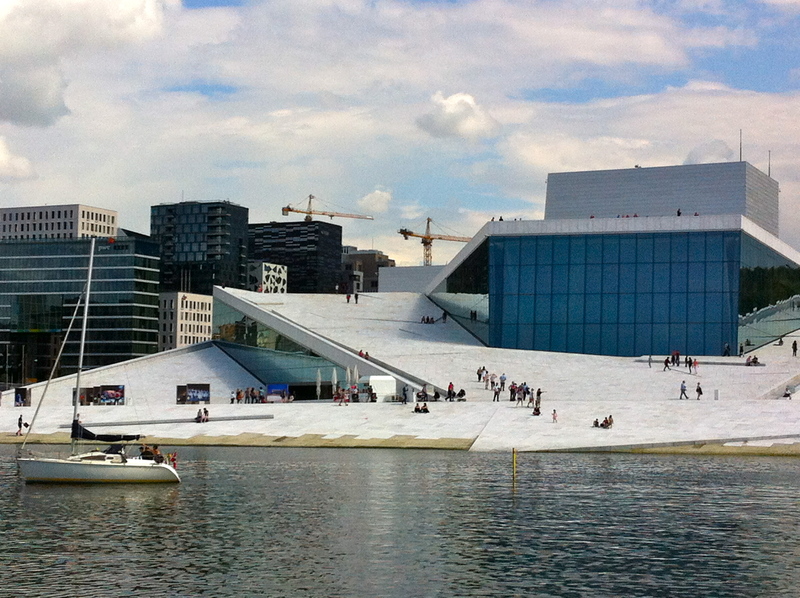 I travelled to the DRS//CUMULUS Oslo 2013 – 2nd International Conference for Design Education Researchers with some trepidation. While I have high expectations of the content produced by the Design Research Society (DRS) and was already intrigued by some of the papers and keynotes, my concerns emerged from what I am witnessing in design education in the UK. I was travelling to Oslo supported by a crowd funding campaign rather than the institution where I had been working when I wrote my paper. As an advocate of sustainability literacy and an early career researcher witnessing (and feeling) the impact of the austerity agenda in higher education in the UK, I wondered if the conference would rise to the challenge of confronting the most serious issues in design education. I would not call it an ecological crisis because that would presume that there ever was an ecology… and there sort of isn’t. It’s… what we know of the natural world includes its instability…and our species being is one that has acquired the capacity to kind of rupture environments on a kind of global scale. So I would be a little hesitant to use the word ‘ecological’…. 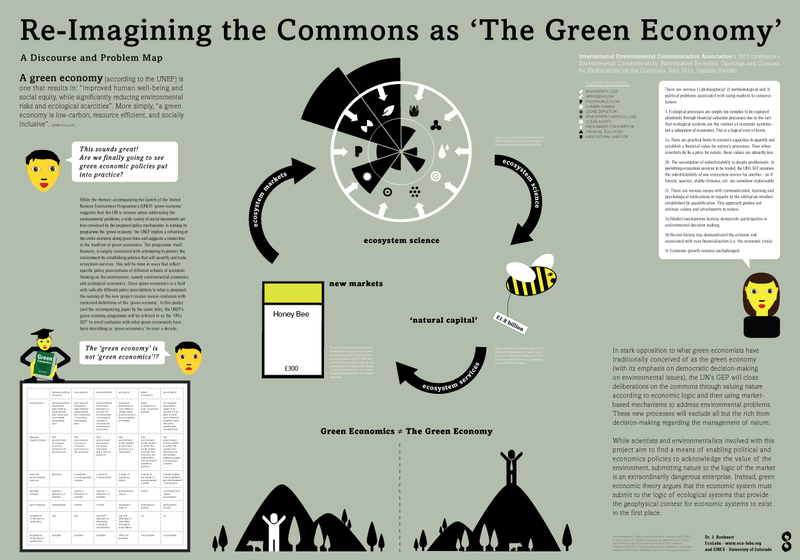 I am publishing two new posters associated with the paper Re-Imaging the Commons as ‘The Green Economy’ that will be presented at the International Environmental Communication Association’s 2013 conference Environmental Communication: Participation Revisited: openings and closures for deliberations on the commons in Uppsala, Sweden June 6th-9th 2013. The posters can images can be downloaded here (as low resolution jpegs) or higher resolution posters to print on the EcoLabs website. Above – Overview of problems associated with the UNEP’s ‘green economy’. In the UK social institutions maintain their legitimacy with claims that they are responding the environmental crisis with initiatives capable of transforming our economy into something that could exist in perpetuity. The single most important factor in the continued failure of the vast majority of initiatives is the dismal lack of ecological awareness demonstrated by those who put these projects into practice. A technologically advanced civilization that is not ecologically informed simply has no long-term prospects; it will not even understand the ways in which it is destroying itself. Businesses are keen to project the image that they are working towards a circular economy and dramatically lowering both pollution and quantitaties of natural resources needed in the industrial cycle. Are these flashy claims an honest representation of progress, or simply a new front for business as usual? Sony, with the help of Forum for the Future, had launched a project called Futurescapes. The project relies on four scenarios which can be seen on the project website. Typically, these scenarios are not informed by the most menacing dangers to our collective futures. While scenarios can be powerful tools, if scenario builders are not willing critique their own assumptions (especially in terms of ecological realities and social justice) – they are wasting their time (if the goal is exploring sustainable futures). Limiting the analysis in this way, however, IS good for Sony and other corporations interested in inspiring consumer confidence. Rio+20 – The Green Economy: Not what it appears! The language in the official UN documents promoting ‘The Green Economy’ published during the Rio+20 UN Conference for Sustainable Development last week is strikingly reflective of the language used by advocates of sustainability and even by social movements. 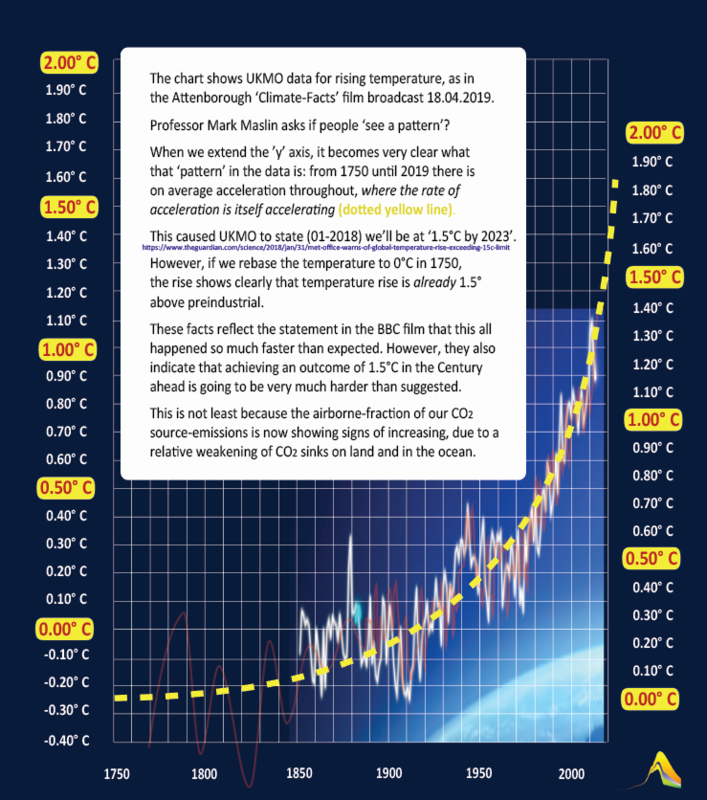 In UN’s declaration ‘The Future We Choose’ certain phrases could have come from a Climate Camp press release; ‘the scientific evidence is unequivocal…the time to act is now!’ The document calls for ‘a great transformation’ and a recognition that business as usual is no longer sufficient in the ‘Anthropocene’ wherein we must live within the ‘safe operating space of planetary boundaries’. Are we finally making progress? Unfortunately what we are witnessing is not progress but an undermining of decades worth of green politics by using of the language of environmentalism while rejecting any accompanying structural analysis of the origins of ecological problems. The UN Green Economy programme uses phrases and rhetorics devices of green movements. Unfortunately, these are neutered of political potential. The Green Economy is about creating new markets for ‘ecosystems services’, the basic provisions of the natural world, now considered ‘free’ such as water purification, plant pollination, carbon capture and maintenance of soil fertility. Creating new markets around these services sets the stage for the expansion of capitalism into the natural world – the global commons. The Green Economy is a programme of fixing prices for natural resources once regarded as free. Well-meaning ecologists, scientists and environmental policy makers are now working towards the construction of infrastructure for the financialisation and commodification of ecosystem services. These processes attempt to protect Nature by accounting for ‘externalities’ of environmental damage through economic processes. Meanwhile, green theorists and social movements claim that without a macroeconomic analysis of the dynamics of neo-liberalism these policies initiatives will reproduce and even increase current problems. Tragically, by bringing neo-liberal economic mechanisms into the sphere of nature, the global commons will be subject to an intensification of exploitation. Alejandro Nadal, author of Rio+20: A Citizen’s Background Document, explains a fundamental error in the UN’s understanding of the management of the commons. The “global commons” is not what classical Romans called res nullius. Nadal explains that res nullius means that a thing has no owner and, therefore, anyone can appropriate it. Instead of having no owner, the global commons are commonly owned – they are res communis. The global commons must not be an object of private appropriation. We are a community – not commodities ripe for exploitation. Rio+20 – Saving Biodiversity or Capitalism? Greens and environmentalists who today still use this concept [of sustainable development] display ecological illiteracy. There is a basic contradiction between the finiteness of the Earth, with natural self-regulating systems operating within limits, and the expansionary nature of industrial capitalist society. The language of sustainable development helps mask this fundamental contradiction, so that industrial expansion on a global scale can temporarily continue (Orton 1989). In short, sustaining or increasing levels of consumption on the diminishing resource base with more people wanting ‘better’ lifestyles (i.e. more consumption) is not possible in the current context. It is not surprising that environmental problems continue to become more severe as policy makers continue to ignore material realities. While corporations are busy marketing themselves as environmentally responsible global citizens, scientists warn that global ecological systems are severely destabilized and three planetary boundaries are presently being crossed (biodiversity, climate change and the nitrogen cycle). The confusion created by the gap between frightening scientific reports and reassuring messaging from advertising and corporate media is a good enough excuse to continue shopping, TV watching and generally ignoring escalating social/ political/ economic crises (as long as you happen to be privileged enough to avoid the immediate impacts). Business as usual continues as both knowledge and reason are distorted by market forces. When markets determine what information is available in the public sphere ‘knowledge’ comes to reflect what is profitable for those with economic power. This distorted knowledge rarely takes the earth’s needs into account. While efforts are made by hopeful environmentalists and NGOs to create ecologically and socially beneficial projects and tweak the market to recognize the value of the natural processes, the overall dynamic of capitalism leads to greater ecological devastation.